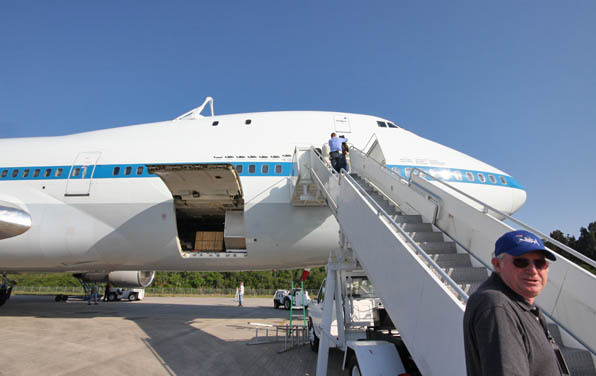 Long-time Shuttle Carrier Aircraft flight engineer, a NASA veteran since the late 1970s, Henry Taylor, gives a tour of the modified Boeing 747 jumbojet that will haul the space shuttle Discovery piggyback-style to the Smithsonian. See our Ferryflight Status Center for the latest news. 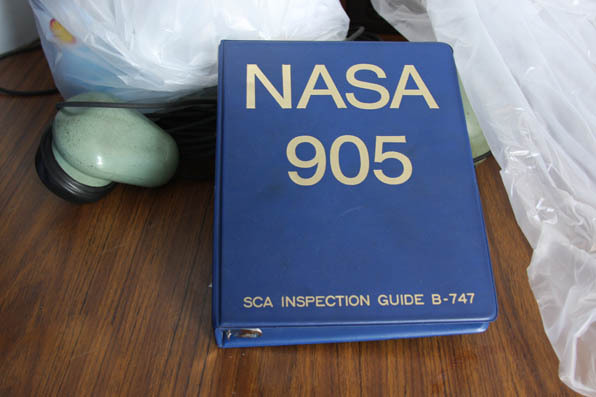 NASA 905 was purchased from American Airlines in 1974. 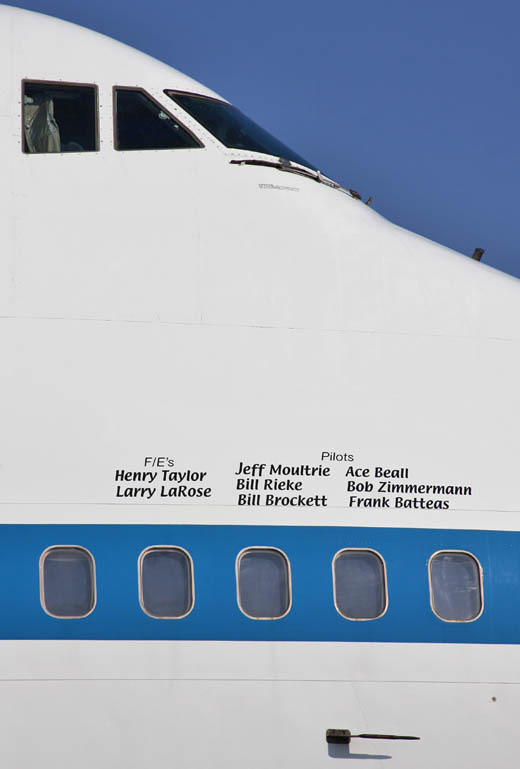 The available crew to fly the Shuttle Carrier Aircraft fleet. Flight engineer Henry Taylor takes us aboard his aircraft. 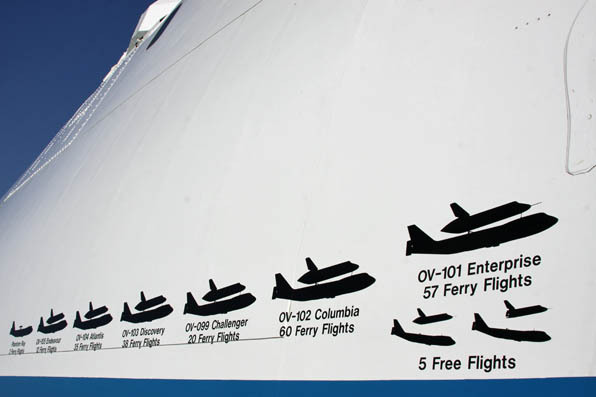 Special markings show the number of ferryflight legs conducted for each shuttle. 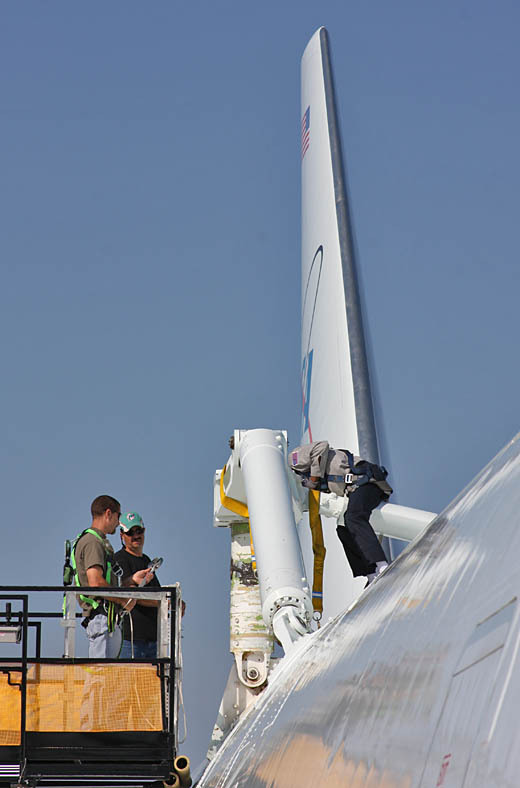 Technicians install the after attachment hardware. 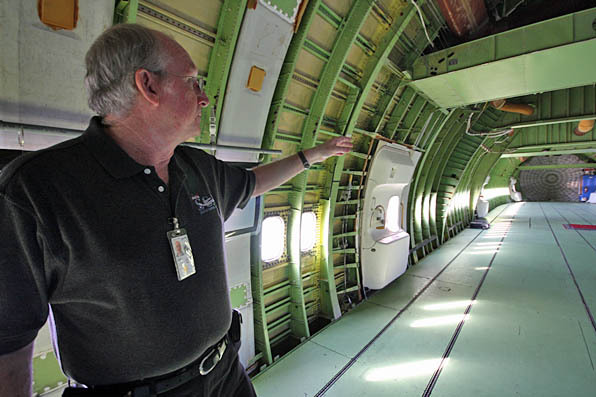 Inside the 747 aircraft where furnishings are removed to save weight. 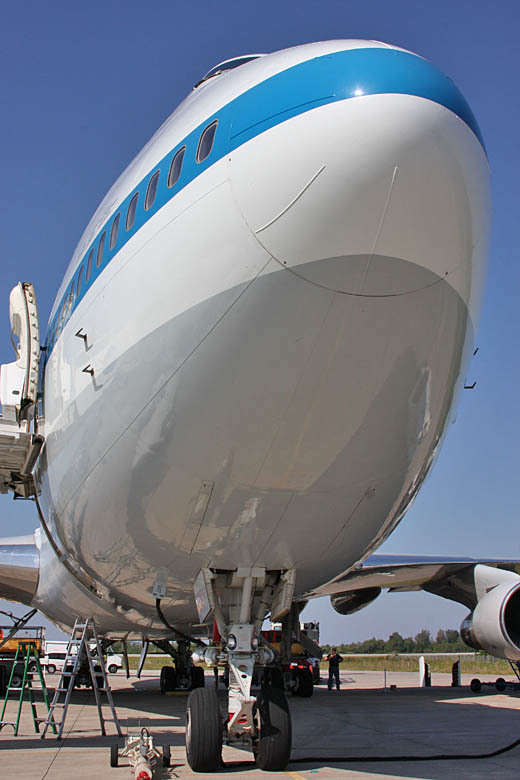 Looking aft down the cabin of NASA 905. 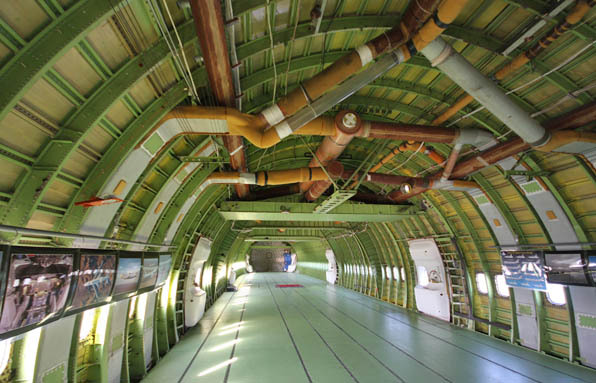 Laying on a table in the aircraft. 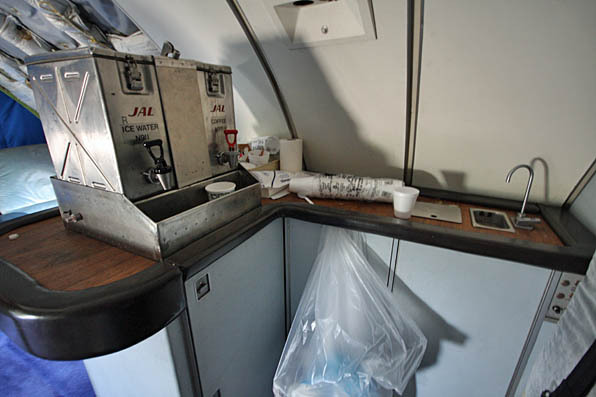 The small beverage area outside the cockpit.